Do you want to dance on the clouds? Do you want to create a magical effect that will wow your guests? Then our "Dry Ice - Low Smoke" service is exactly what you need. 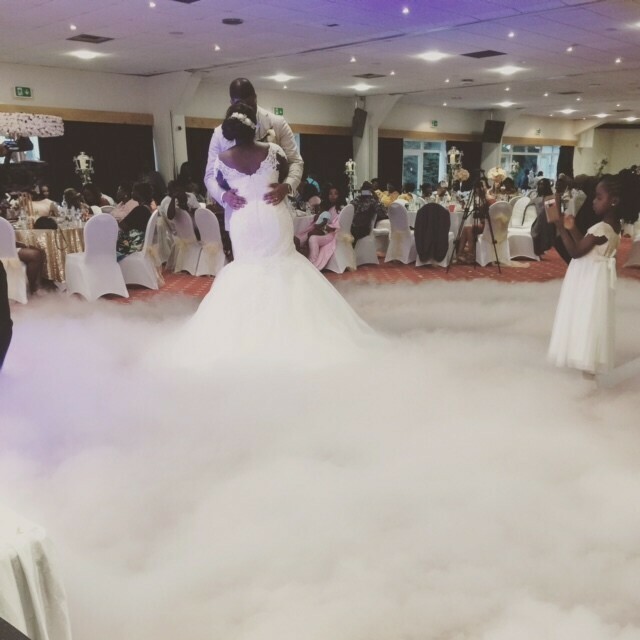 Using a high quality professional machine and dry ice pellets, we can create this magical effect for you first dance. Typically the effect last for about 5 minutes and is completely safe for you and your guests. It won't set off any fire alarms and will disperse very quickly. This service is fully inclusive of a technician to set it all up, operate and pack it all away. We will organise the delivery of dry ice pellets so you do not have to worry! Click below to contact us for a quote.